Dr Jengo's World: Getting back into Marvel Heroes with Civil War content! 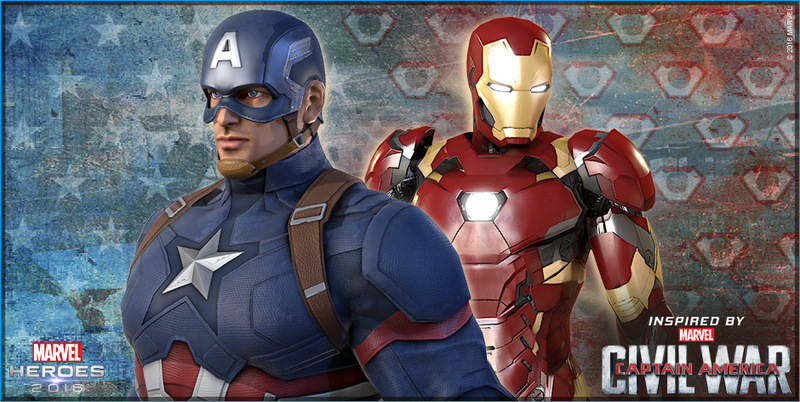 Getting back into Marvel Heroes with Civil War content! It's been so long since I touched this game.. but after watching the movie I wanted to get back in, especially with the new Civil War event on this MMO. Here's the details of the ongoing Civil War event on this free-to-play MMO. You know how it is with some games where if you don't play it for a long time, you just don't feel like getting back in. Just too many things to catch up on, game-play changes etc. While it was confusing initially, I have been spending quite a lot of time on this game in the past week. With the birth of my 2nd child just a week ago, it's been a bit difficult to get on the PS4 and continue with Uncharted 3 which is very story-based. So, I have been playing this where it is easier to get off the game and tend to the kid/wife if the need arises. Highly addictive and it's free. Looking forward to see if they will have any event going on for X-Men Apocalypse!